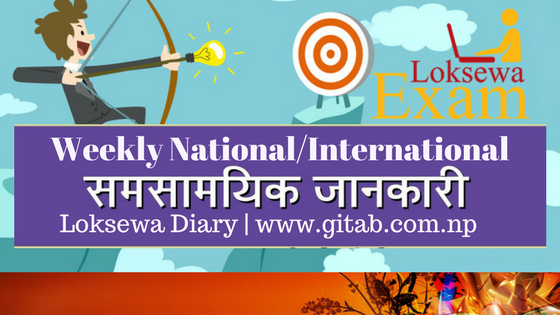 We at GITAB | Knowledge Hub provide Current Affairs targeted for PSC (Loksewa) Exam. 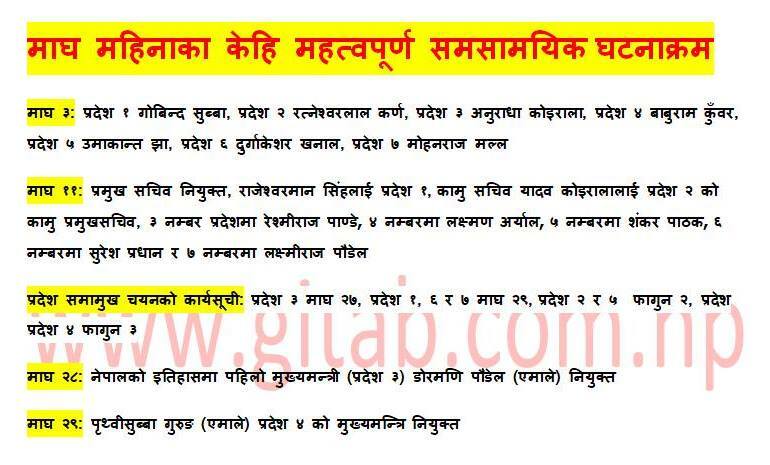 We are decided to post the Current Affairs (Samasamayik Ghatanakram) important for Loksewa Exam on a regular basis. Every week Saturday we will post the most important national/international current affairs. This website is dedicated to the collection of data/information. So please follow our website for more important GK, IQ and Current Affairs. See all the posts according to the categories.